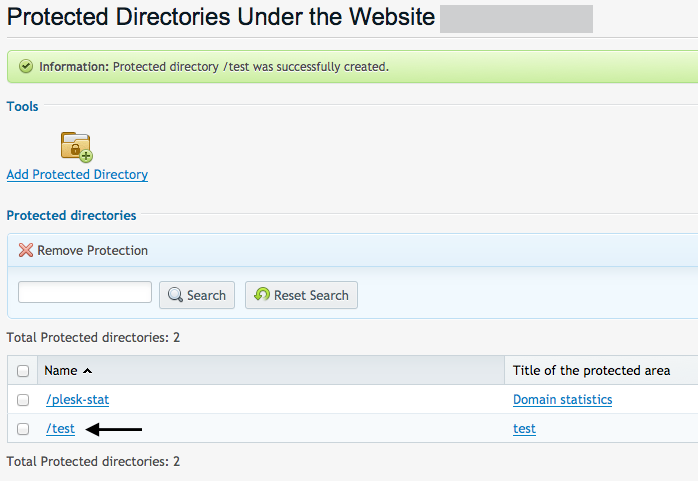 Enter Directory name and Title of the protected area. 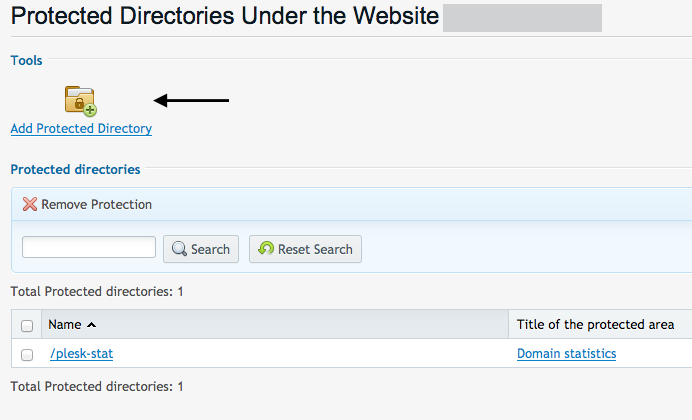 Click OK.
Click on the newly created directory. 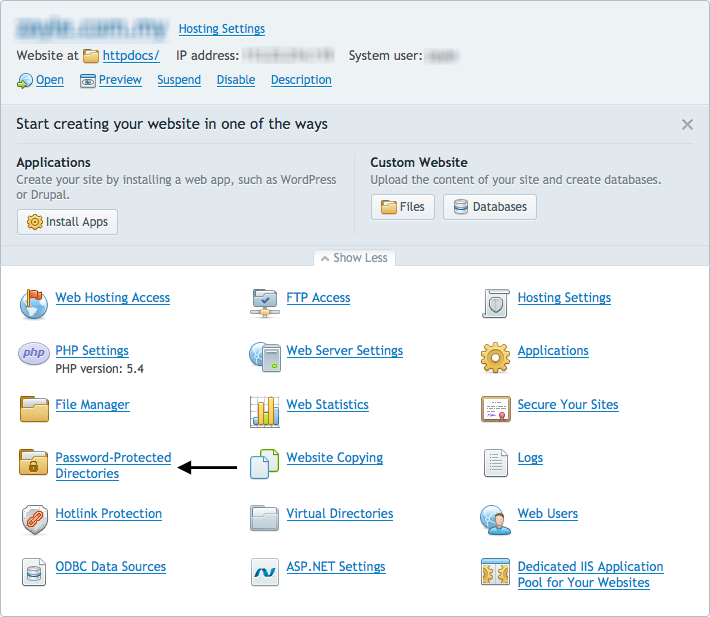 Enter Username, New password and Confirm password.